Ohio IPM presented an Inversion and Drift Mitigation Workshop on April 10, 2018. The workshop focused on recognizing inversions that may affect herbicide applications. The workshop also discussed the Ohio Sensitive Crop Registry, recently merged with FieldWatch. Recordings of this workshop are available below along with the presentations and contact information for the speakers. Three BLBB workshops were held this year in May at Wooster, Cleveland and Cincinnati OH. Over the past year we have made a major effort to summarize the lady beetle data collected across the state from 2009-2014. By visiting our website (ladybeetles.osu.edu) volunteers and others can view all project data summarized by year. They can also click on an interactive map to view what species were collected at each sample location. 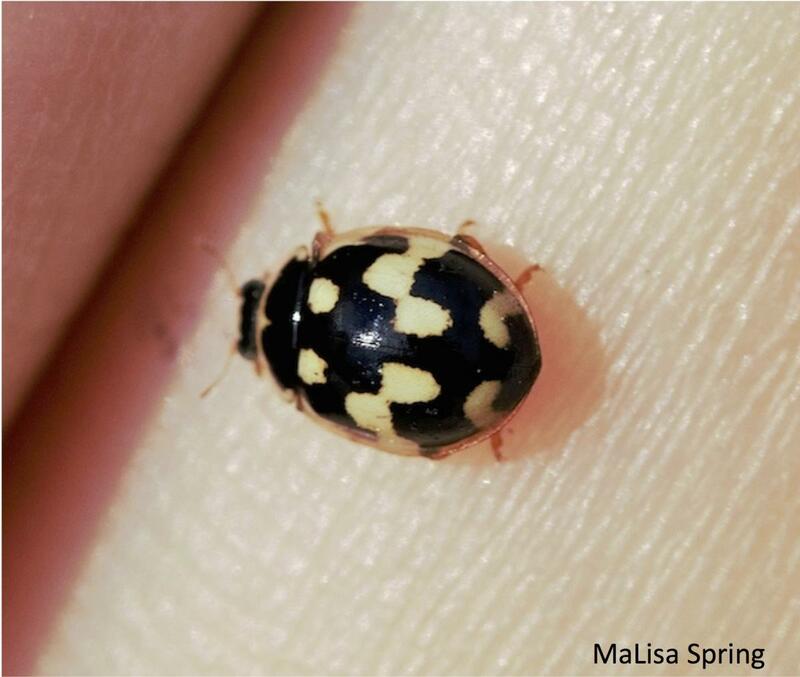 We are working on a publication examining how land beetles have changed over our sampling period, including the arrival and population increase of the non-native checkerspot lady beetles which is now very common in Ohio gardens. This program was launched in 2014 with the goal of measuring pollination services in home gardens. Volunteers attended training workshops and received toolkits including plants, mesh bags, instruction guides and data sheets. Their goals of this program were to select a sentinel crop plant which could be used in a citizen science program to measure pollination services, by comparing fruit set from pollinator-acceptable and inaccessible flowers using a paired cage study. Masters in Plant Health Management student Brian Kleinke evaluated the results of the 2014 and found that of the four plants examined (cucumber, tomato, pepper and sunflower) that pepper exhibited the lowest plant loss prior to flower and exhibited a significant difference in both fruit weight and seed number among insect pollinated and exclusion treatment flowers. Based on his findings the Gardiner Lab has designed a Pollination Investigators protocol to be deployed to citizen scientists in 2016. A 1-2 day high tunnel training was developed and conducted in the spring or early summer in 2015 and 2016. 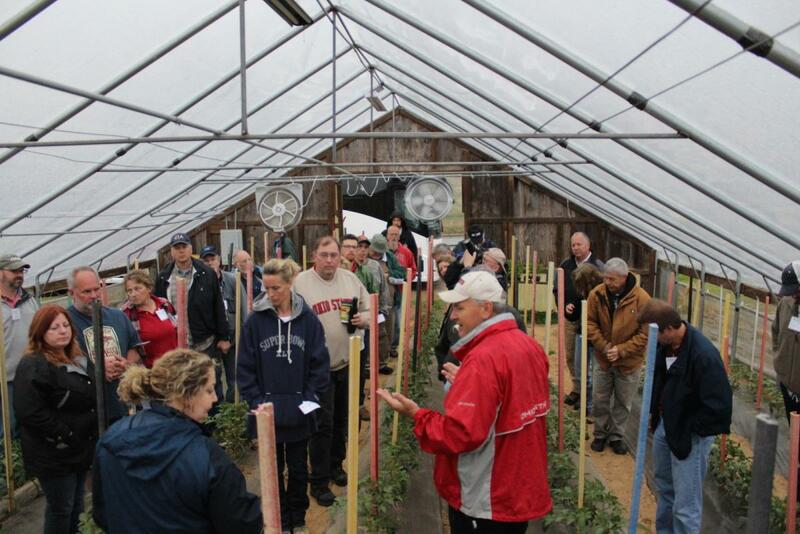 This high tunnel training was flexible enough to include new and emerging pest management issues and topics. The high tunnel training helped transfer IPM and production practices utilizing regionally generated unbiased research based information generated from on-going research programs. Since the management of water in high tunnel production is so important to ensure a profitable and safe crop, a science behind water quality curriculum was also taught. Aspects of the Food Safety Modernization Act on water quality standards were taught to high tunnel growers so they will be better prepared when this act is fully implemented. Other topics such as aquaponics production in high tunnels, disease management, insect management, identification of natural enemies, and a session on how to graft plants to avoid soil borne diseases was also taught. The second day was devoted to touring established high tunnels located in southern Ohio. In a continued effort to educate growers across the state about monitoring and management issues surrounding spotted wing Drosophila, a 65 minute webinar was held on May 6th that reached 50 people. A broad range of topics was covered including a pest overview, traps and attractants, field placement, brief identification section, cultural management, insecticide management, and how to conduct a salt water test to find larval infested fruit. In between the major sections of the webinar, we took a 5-10 minute break for questions from any of the online participants. Some evaluation highlights included 53% of registrants have never seen this pest on their farm, and most respondents are not spraying for SWD but some are spraying as many as seven times per season. Nearly 79% of respondents said they will use the salt water test to find SWD larvae in fruit and 67% indicated they will use a baited trap to monitor for adult flies. A detailed two hour workshop for identifying SWD adults using stereo microscopes was held in Wooster on May 20th. Here is a link to the webinar online. The focus of our work this past year included updating existing disease fact sheets and writing new ones for both field and high tunnel environments. In high tunnels the focus has been exclusively on tomatoes, with a total of seven fact sheets written. For field based diseases, there were updates to two fact sheets (Downy mildew and Phytophthora blight), one on anthracnose in onion, and garlic bloat nematode. Work has also begun on a series of fact sheets on Downy mildew and apple mosaic virus in cultivated hops, a crop which is expanding its acreage over the past few years. 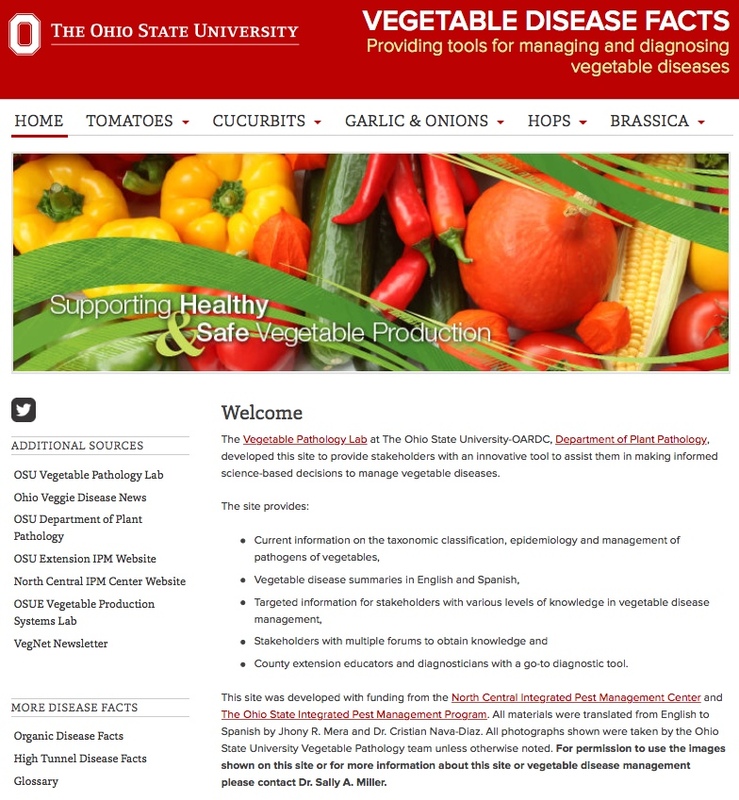 The completed fact sheets are listed on the website http://u.osu.edu/vegetablediseasefacts/. In addition to fact sheet writing, the website has been restructured and organized by host crop (tomato, cucurbit, garlic & onion, hops, and brassica) along the top of each web page for easy navigation. Tomatoes are separated into field and high tunnel/greenhouse diseases. Each disease has a "home page" which contains a summary of the disease with the scientific name, host crops and disease pictures. It also offers the reader with three options for content; basic information, advanced information, and diagnostic information to help them answer their question efficiently and thoroughly. There are links and pictures throughout the text for the user to click to find more information. Our team designed a short multiple choice questionnaire to assess the knowledge levels of field day participants regarding herbicide drift issues, especially issues related to the introduction of systems including 2,4-D and dicamba tolerant trait crops. This questionaire will be distributed to around 70 participants prior to and following this summer’s field day season. We also held four meetings during the year to discuss the consequences of these herbicides in the landscape and their effect on specialty crops. We are currently working on fact sheet “Reducing Herbicide Drift Risk to Specialty Crops". 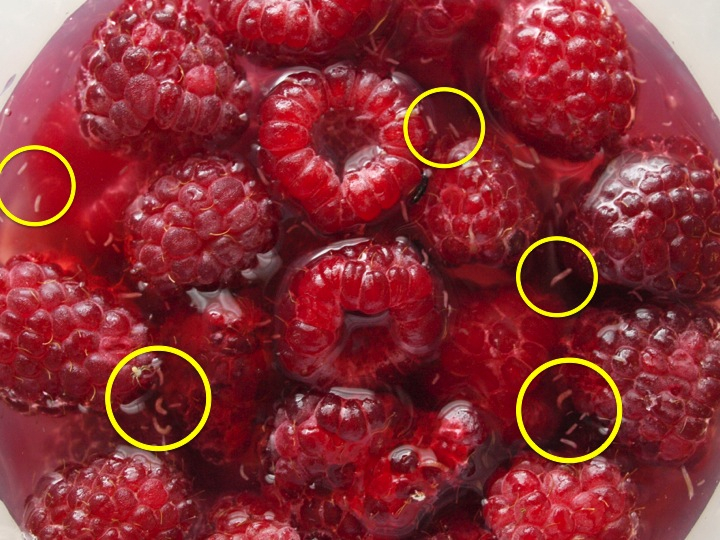 The spotted wing drosophila (SWD) was first detected in Ohio in September, 2011 in raspberries in Van Wert county. This new species and its relatives are commonly called fruit flies or vinegar flies. Unlike the common fruit fly that is found on over-ripe fruit, the new species attacks ripening fruit of most berry crops such as raspberries, blueberries, blackberries, grapes, cherries, strawberries, as wellas peaches and apples. 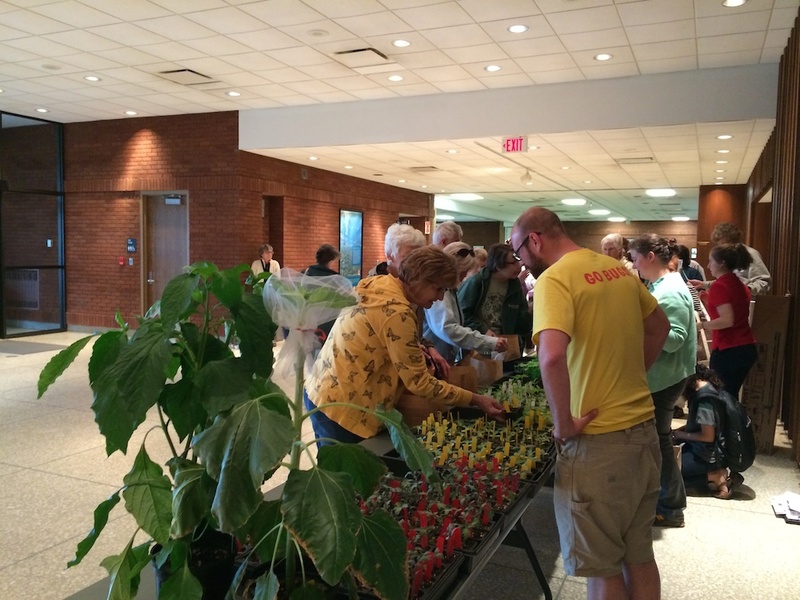 On April 30, 2014 we held our 2nd annual SWD workshop in Columbus to help growers monitor, identify, and learn how to manage this new invasive pest. There were 29 growers and Extension educators registered. By the end of the workshop, most attendees felt fairly confident they could identify this pest when they checked their apple cider vinegar or fermented yeast baited trap. In 2014, 18 counties were official monitoring sites for SWD, and 11 had positive detects. The initial detections were at the end of June and early July. Resources to help growers identify and manage SWD can be found here at Celeste Welty's site. 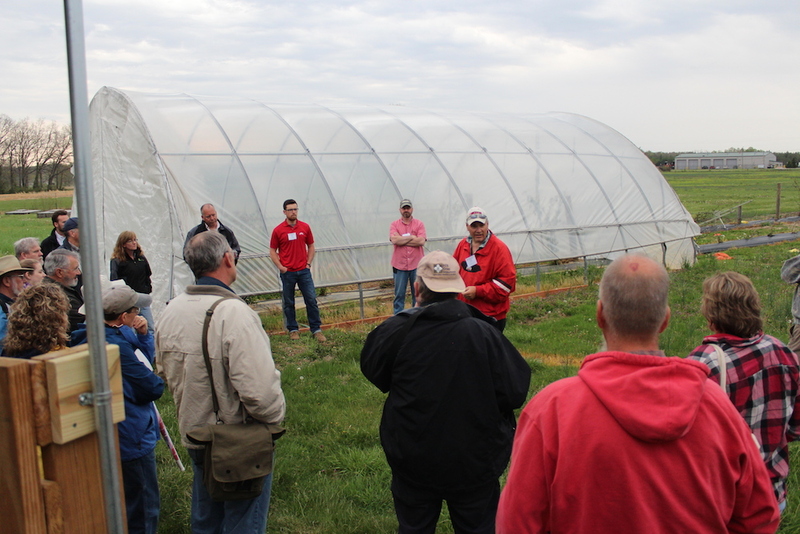 The EIPM High Tunnel Training was conducted at the Ohio State University Piketon Research & Extension Center on April 28, 29 and 30th, 2014. This following was accomplished from this training program. 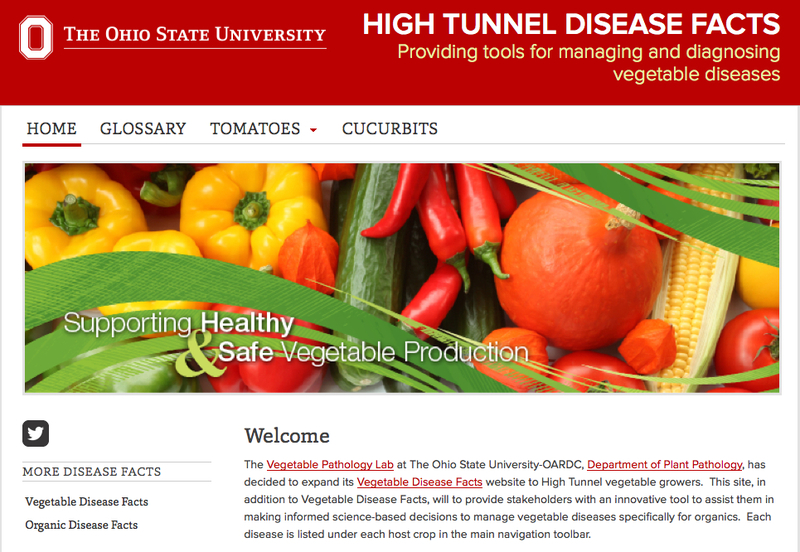 A website was launched in May 2014 to post new fact sheets specifically targeting tomato diseases in high tunnels (http://u.osu.edu/hightunneldiseasefacts/). Between May and October 2014, the site was visited 47 times with 22 unique visitors and 639 pageviews. On average, viewers visited 14 pages per visit, with a visit duration of 16 minutes:28 sec. Bounce rate was 40%. Comprehensive vegetable disease management fact sheets (field-produced vegetables) were written and posted on Vegetable Disease Facts (u.osu.edu/vegetablediseasefacts/). Between March (launch) and October 2014, this website was visited 306 times with 223 unique visitors and 1,791 pageviews. On average, viewers visited six pages per visit, with a visit duration of 7 minutes:15 sec. Bounce rate was 58%. Starting in January 2014 we put together a presentation entitled “Herbicide Drift- A view from the other side of the fence.” This was presented to extension educators at an In-Service meeting. The presentation was intended to alert extension educators to the probability that drift incidents (especially related to 2,4-D and dicamba herbicides) will increase in specialty crops in the near future as a result of the introduction of 2,4-D and dicamba tolerant trait corn and soybeans. The presentation also served as a reminder of the factors that are important in the creation of and therefore mitigation of herbicide drift. It was also intended to show that while specialty crops are generally grown on less acres than corn or soybeans they are typically high value crops and many (grapes for example) are perennial. This slide set was used as the basis for oral and poster presentations at field days during the summer. 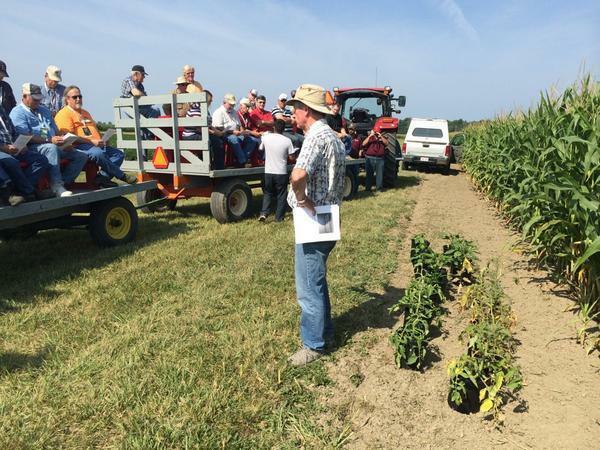 Presentations were made at several field days including OARDC Western Branch, Muck Crops Research Station, OARDC Northwest Ag Research Station, Ohio Nursery Association Field day and Farm Science Review. A fact sheet entitled “Reducing Herbicide Drift Risk to Specialty Crops” will be published in the near future. An annotated and updated version of the powerpoint presentation will also be made available. The Buckeye Lady Beetle Blitz Program surveys native and exotic lady beetles across Ohio with the help of home gardeners. In 2014 we trained 94 participants across three workshops to collect and report lady beetle data. Each participant received a toolkit including all the materials needed to collect and interpret their data. Of these we had 77 and 70 volunteers send in their data from June and August, our two sampling periods. Currently one undergraduate student and a laboratory technician are verifying the accuracy of volunteer identifications by examining their sticky cards and data sheets. A key outcome of this project will be a greater understanding of the current lady beetle assemblage using home gardens, how it varies across the growing season and if changes can be detected since we began collecting data in 2009. The goal of the Pollination Investigators program is to measure how local and landscape variables influence pollination of vegetable crops in home gardens. In 2014 we trained 94 participants across three workshops to collect and report pollination data. Each participant received a toolkit including all the materials needed to collect and interpret their data. Of these we had only 7% of volunteers send in their data.